With a deep passion for the real estate industry and a drive to get things done, Sue Bethke effortlessly helps clients set goals to establish a partnership. Through the development of strong interpersonal relationships, Sue’s clients benefit from her anticipation of needs, keen eye for detail, and unwavering commitment. Her clients describe her as responsive and tactful, and their recommendations drive her referral-based business. Being a native Seattleite, Sue is comfortable working across the region and is happy to work within all price points and property types that meet her client’s needs. With extensive local expertise, Sue understands the nuances and charms of both Seattle and Eastside living. She keeps a pulse on the current real estate inventory and a careful watch on market trends that can benefit the sellers and buyers she represents. As a full-time Realtor since 1991, Sue understands how to manage the complexities of the transaction process. She thrives in the daily hustle of the industry and loves nothing more than the moment she gets to deliver keys to unlock a client’s new home or finalizes a seller’s contract. These closing moments represent the culmination of time and effort, and set the path for exciting new journeys. "Sue is exceptional in every way. Her knowledge of the market and the other agents in town is incredible, but her care and understanding of her clients is really what sets her apart." "Sue is absolutely the best! She thoroughly understands the market and she is great at helping you navigate everything that goes into buying and selling a house in this area. We could not have been happier with the job she did helping us sell our house. Sue is a true professional with many years of solid experience, and she has a wonderful and friendly personality." "We have worked with Sue Bethke for over 20 years. Sue has listed and sold a number of homes for us in the NE Seattle area. Her market knowledge coupled with a friendly approach make Sue a joy to work with. 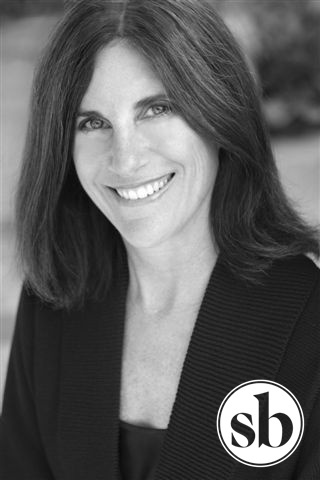 If you are buying or selling property in Seattle, we highly recommend working with Sue." — MAURA AND CHARLIE M.
"Sue was a pleasure to work with. She was always helpful and responded quickly. She always kept our top priorities in mind when sending us houses to look at or when we would ask about a house we were interested in. She kept in constant contact with us during the closing process of our new home to update us on things, or to follow up on items that came up. I would highly recommend Sue to others to purchase or sell a house."